Children can be very finicky about eating their vegetables, causing a struggle between them and their parents at every meal. One easy way to get them to eat their vegetables more easily is to get them excited about gardening. It'll get them connected to their food by participating in their growth from seed to harvest. Many children are surprised to learn that grapes grow on the vine and that carrots are the plant's root. I've taken the time to ensure that my kids know where their food comes from. Last summer, my 4-year-old son harvested kale from the garden for the first time, eating much of it in the process. He was very proud of his little corner plot in the garden and often would offer tomatoes to the neighbors as they passed by. Kids learn best through hands-on experiences, and they love to explore. 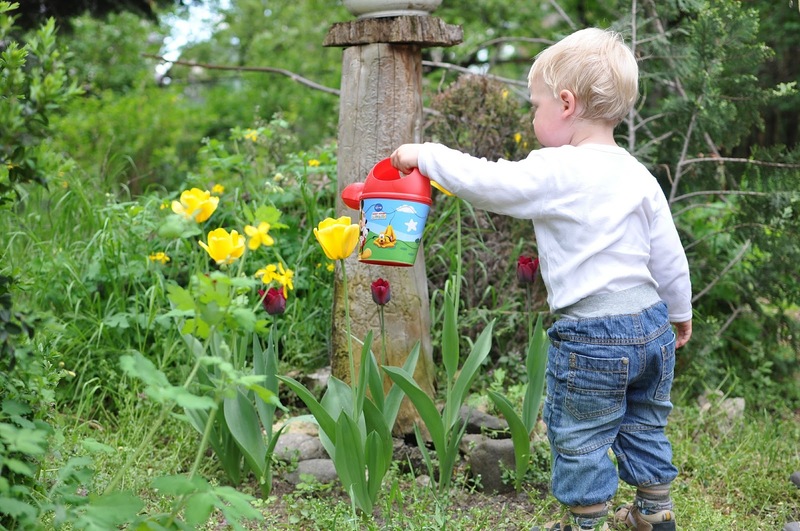 Taking advantage of their natural curiosity is one way to build an interest in gardening. Here are five tips on how to make healthy gardening fun for kids. Start by sectioning off a good plot for them with plenty of access to the sun. Each of my children has their own personal garden bed to tend. Their plots have rich soil and plenty of light. The idea is to set them up for success. I help my children do a little weeding every now and again since they are so young, but I want their gardening experiences to be both positive and realistic. Avoid the temptation to give them too much space for their plots. It's easy to get swept away in the excitement, but a child's garden plot needs to be of a workable size. They need to be able to take care of the planting, weeding, and harvesting with minimal help. The size of the plot will vary by the age, level of maturity, how much time the child has available for gardening, and the child's attention span. Choose plants that are fun and easy to grow. Again, this is to improve your child's chances of success. These plants will vary by climate, and some will grow more easily than others. Cherry tomatoes and snap peas are favorites in our house. They are harvested early in the year and are easy for little fingers to grab at harvest time. Adding a fountain to the garden can be also a great way to create interest for children. Though a traditional fountain can really help as it allows you to add fish, even a wall fountain such as these from Outdoor Fountain Pros can be a good addition. Cucumber plants are also a good choice for children, as are pumpkins, squash, and gourds if you have enough space. These last three have the added bonus of helping to teach the children patience as they were for the plants to mature. Here are some good tips. Do your best to follow your child's lead. I am more of a facilitator in my approach to gardening with my children. This allows them to develop their own inspiration. My daughter loves flowers and wants to plant some, but I'm more practical and would prefer to focus on vegetables. If I insisted on my way, she'd likely lose interest in gardening. The trick is to find a balance. Use the fruits of their labor to prepare a healthy lunch. My children are thrilled to be contributors to our meals with vegetables they harvest from their garden plots. It's also a very wholesome way to get them motivated to keep their garden plots maintained when the summer weeds start to pop out. I often plan meals around whatever veggies they are currently harvesting. My children are thrilled to eat the vegetables they've nurtured from seed. You can inspire your own children to want to garden when they see how excited you get at each step of the gardening process, from preparing a plot, to planting seeds, to harvesting veggies. In time, your children might even start begging for you to cook vegetables they've harvested from their own plots. Mine do!